As FBYC Historian, one of my responsibilities is the maintenance of our Dan Austin Memorial Library. Therefore, I am always on the lookout for quality maritime literature to place on its shelves. Recently I received word that an old Richmond friend, Bill Westbrook, was retiring and returning to Irvington, Virginia where he had planted deep roots in the past. Bill had taken the reins as CEO of one of the largest and most successful advertising agencies in the Midwest, the Fallon agency in Minneapolis. Over 90 people attended our reception at the Deltaville Maritime Museum on Saturday evening of Memorial Day weekend. The reception inaugurated FBYC’s permanent exhibit and was a gesture of gratitude to the Museum and its Board Members for allowing us to highlight our historic role in the Deltaville community. For those who were not able to be there for the reception, a visit there is highly recommended to explore everything that the Deltaville Maritime Museum and Holly Point Nature Park have to offer. And for the price of admission, you can choose a membership option instead. Your historian had the occasion recently to contemplate the swift passage of time, when, serendipitously, he received a parcel of old photos from member Evelyn Turner through member John Koedel. Among many club scenes worth preserving, there were several pictures of the interior of the old clubhouse, images of which have been notably absent from our archives. Your Memorial Day holiday weekend will not be complete without attending the FBYC reception at the Deltaville Maritime Museum in honor of our new permanent exhibit. The reception will include beverages and heavy hors d’oeuvres to delight the palate. The event is open to all members but you first must register online. Cost to attend is $15/adult with juniors admitted free. $10 of each admission ticket will be donated to the Deltaville Maritime Museum which has partnered with us in the past to stage important sailing events, such as the Southern Chesapeake Leukemia Cup Regattas and the 2010 Optimist Nationals. This spring visitors to the Deltaville Maritime Museum will see some familiar history on display among the nautical history of the area. 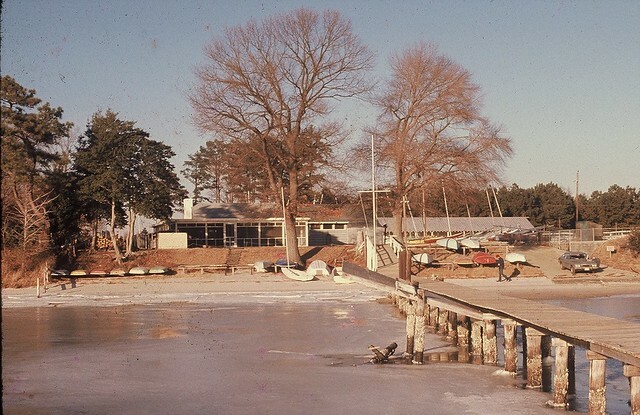 Club historian Jere Dennison and several other volunteers have been working with the Deltaville Maritime Museum to include an exhibit on Fishing Bay Yacht Club that will include pictures, stories and other artifacts like an Opti and even one of old club signs. 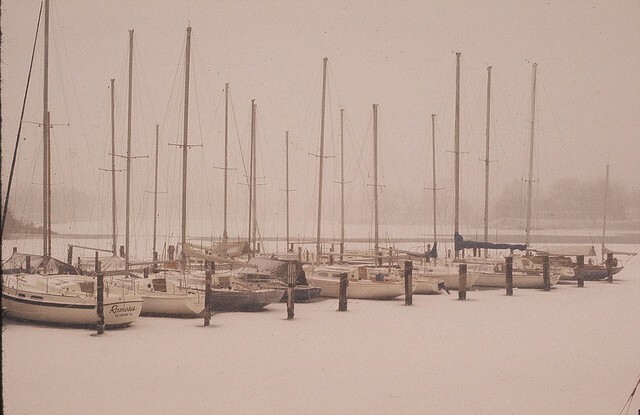 Lud Kimbrough (818) has shared some videos from '69-71 of FBYC Sailing and ‪‎Deltaville. ‬ Here's the first of ‪‎Sabots‬ sailed by juniors and teens. Yes, the lifejacket policy is a little more contemporary. 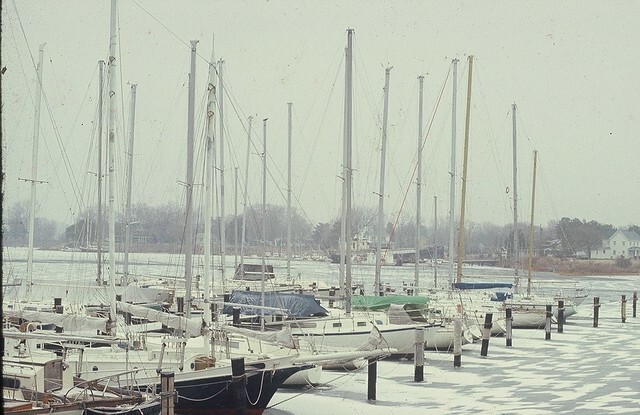 This video of Jolly boat racing at FBYC during the World Championship in 1971. Another video from Lud of the Heritage parade in Deltaville on July 4 can be found here. 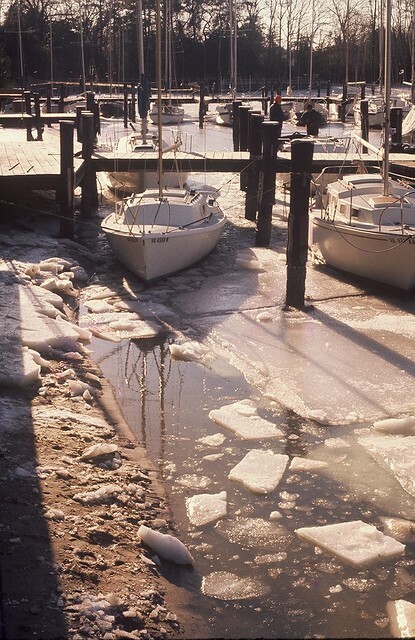 Portsmouth, RI (April 1, 2015) – Due to the long term decline in sailing as a sport in the United States, US Sailing, the national governing body for the sport of sailing, has announced cost cutting measures to remain solvent with its current membership size. No longer will the organization support youth sailing events, recognizing that the current youth sailing model is not growing the sport. “The pussification of our culture has made it easy on kids, so we felt it was time for US Sailing to stop contributing to this issue,” explained Jack Gierhart, Executive Director of US Sailing. 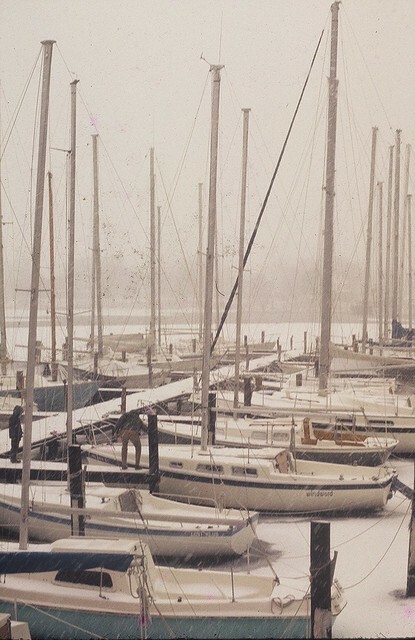 Since snow has been heavily on our mind lately - our historian Jere (and Clark) Dennison have dug up some photos from snow in 1977. Come visit Virginia at Fishing Bay Harbor Marina and tour this historic recreation of the last all-sail vessel used by the Virginia Pilot Association. Did you know that our CBYRA Delegate, Tom Roberts, was actually Dr. Lyman Hall, signer of the Declaration of Independence as the Georgia Delegate to the 1776 Continental Congress!! Tom/Dr. Hall in full regalia after the sold-out closing performance last night of "1776, America's Musical", at the Kimball Theatre in Colonial Williamsburg. Ask Tom to show you a little minuet two step. During the weekend of the Chesapeake Bay Laser Masters Championship a peice of America's Cup history was in Fishing Bay. 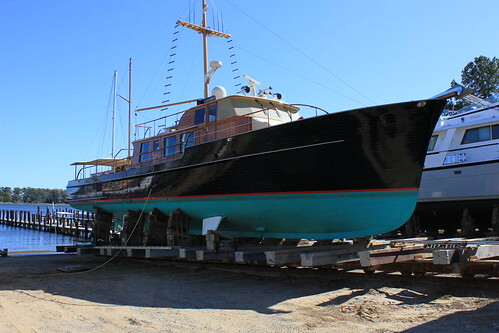 Black Knight, the boat used as the Signal boat by the New York Yacht Club in the 1983 America's Cup made a stop at the Chesapeake Marine Railway for some minor repairs on her way further south. THE yacht-club crowd may turn out to cheer at regattas, but sailboat racing hasnt been a big hit with mainstream television audiences  perhaps because they have trouble following whats happening on the waves. 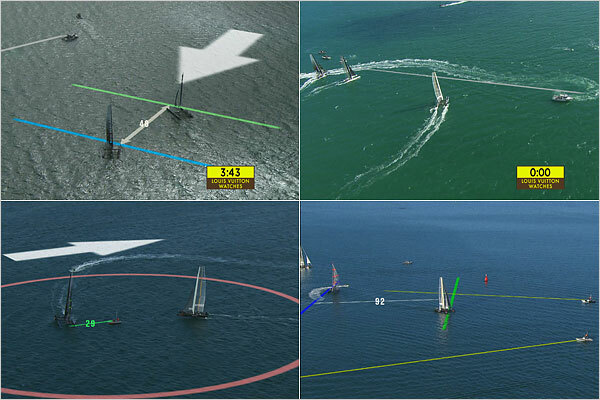 Experts in the sport may appreciate a helmsmans split-second tactical decisions or a crews athleticism, yet the drama often goes over the heads of landlubbers who dont know how points are scored, or even who is ahead. When we started the new Fishing Bay Yacht Club web site around 2001, Mark Wensell, a FBYC member had just founded bayMountain, a new data center in Richmond. Mark offered to help us out by hosting the site and also did the initial set up of the computer, the software, and the database that even today still runs the site. All that digital information that moves through cyberspace has to live somewhere. The Peak 10 Inc. data center in Henrico County is one of those places. 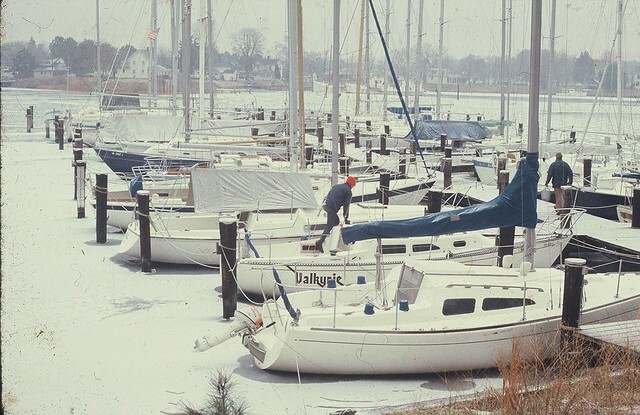 From the early days on the Chesapeake Bay to the yacht races held all along the Bay today, the Chesapeake’s winds have played an outsized role in the region’s economy and culture. With a victory margin of over three and half hours, Rives Potts sailed Carina, a 48-foot sloop, to victory at last months Newport Bermuda Race. Fifteen years ago Rives bought Carina, built in 1969, and has competed in the Newport Bermuda Races with her since 2000. During this stretch, Carina has won her individual class four times and the race once. Please vote for Murray Fisher at http://thegentlemensfund.com/final_vote.asp GQ asked readers to nominate an agent of change striving for the betterment of society through charitable work, volunteerism, and/or community involvementsomeone who is working hard to make this a better world. GQ selected the five best submissions as finalists and readers have determined the potential winner by popular vote. One if the five finalists of the 2009 Better Men Better World Search is an old Friend of FBYC. Vote now. August 30, 2007 - Nantucket, MA - Great Harbor Yacht Club proudly announces the appointment of its first Commodore, Norwood H. Davis, Jr. of Richmond, Virginia and Nantucket, Massachusetts. 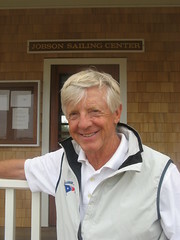 Davis, a founding member of the Great Harbor Yacht Club (GHYC) in 2003, has been instrumental in establishing GHYC as a competitive sailing club. He created the celebrity Pro-Am Regatta during Nantucket Race Week and chaired the event for 3 years. He also enlisted Gary Jobson, the pre-eminent ambassador for sailing in the U.S., as GHYC Executive Director of Sailing and Honorary Chairman of Nantucket Race Week.